A study shows a third of anti-malarial drugs in Southeast Asia are fake. Lack of uniform standards is a problem. An international study has confirmed fears that fake anti-malarial drugs have put at risk global efforts to counter the scourge, with weaker and unchecked medicines potentially fanning the disease by allowing it to build immunity to medical treatment. Southeast Asia figured prominently in the study, which should come as no surprise, given most governments in the region have paid only lip service to warnings that the lax enforcement of laws had allowed the market for cheap homemade drugs to thrive, not unlike copies of DVDs, brand name handbags or other drugs like Viagra. According to the study, published in the Lancet Infectious Diseases Journal, a third of all anti-malarial drugs sold in Southeast Asia were fakes. This followed surveys in seven countries and an analysis of 1,437 malaria drug samples that found a third had failed tests, half were incorrectly packaged and a third were simply not genuine. Drugs tested includedartemether, artesunate, chloroquine, mefloquine, quinine, sulfadoxine-pyrimethamine and tetracycline. Many of the aspiring middle classes in the region would like to think of Southeast Asia, and in particular the 10-nation Association of Southeast Asian Nations (ASEAN), as a fashionable part of the world where Asian values have underpinned economic success and outshined those of a bankrupt West. But the study, led by the Fogarty International Center at the National Institutes of Health (NIH) in the United States, is a sobering read and ranked Southeast Asia alongside Sub-Sahara Africa. It found, predictably, that poor quality drugs would lead to inadequate treatment and drug resistance. 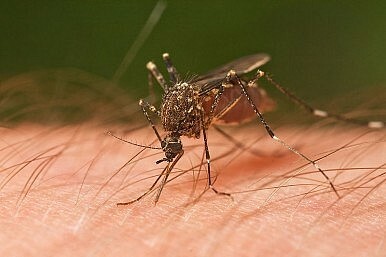 More interestingly, it said that along the Thai-Cambodian border an artemisinin resistance or a tolerance in Plasmodium falciparum, had emerged, making protection of drug supplies an imperative. This has raised the prospect that the drug resistant parasite could travel beyond the Thai-Cambodian border, particularly in light of the heavy human traffic that plies the area. Studies were also conducted along the Thai border with Burma. Malaria is endemic in 106 countries, with 3.3 billion people at risk of infection. It kills at least 650,000 people a year and authorities say most fake drugs are produced in China. Ominously, the surveys authors added that there were no reliable global estimates on the extent of poor quality anti-malarial drugs because there were no standard tests, protocols or drug content requirements, nor an international forum for scientific oversight or accepted international definitions for the different types of inadequate drugs.